I already know that I love these lipsticks since I already own a few. They are soft and creamy and feel great on the lips. I would say the shade I Am Yours! is a rosy/pink color and is wearable for everyday. It lasts several hours on my lips, without eating or drinking. See swatches below. 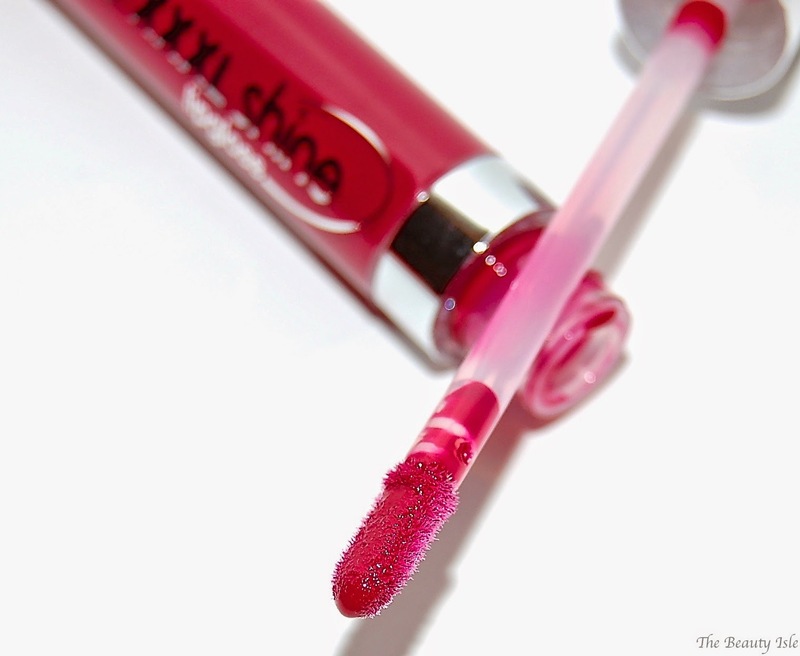 This lipgloss is crazy shiny! It's not the least bit sticky and feels really creamy on the lips. It's a bright fuchsia pink color that is really pigmented and can be worn alone or over a lipstick. I love wearing it over the I Am Yours! lipstick. 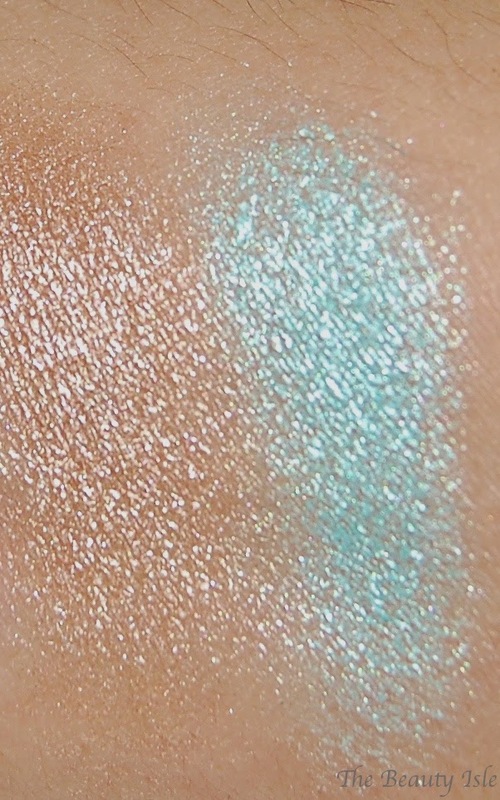 These shadows are SUPER shimmery and metallic, I'd even go so far as to say they are sparkly. They feel really creamy. 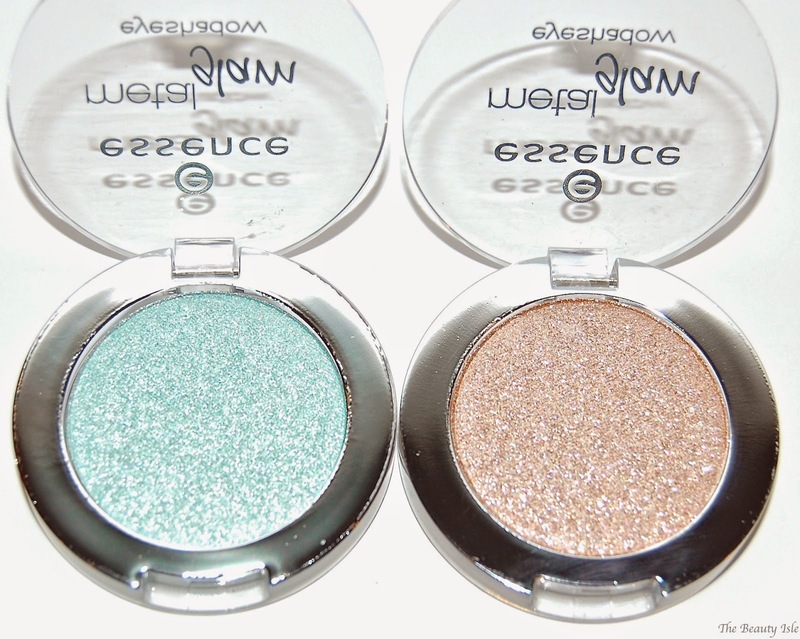 They aren't super pigmented, they provide more of a shear shimmery wash of color. I didn't try this, but I bet they would look more vibrant with a white shadow base underneath. 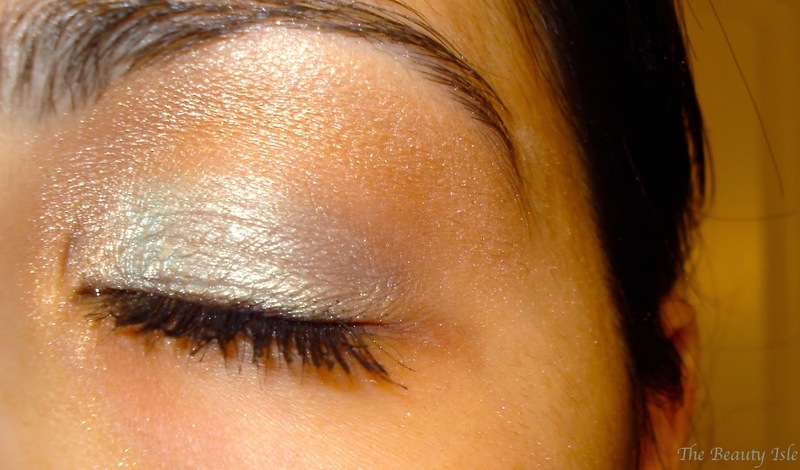 Here is a look I created using the mint color on the lid and the tan color in the brow bone and inner corners. The photo isn't doing the mint shadow justice, it was more vibrant in person. Well, the name says it all really! This mascara has a very large plastic spiky brush. While I find large brushes hard to work with, because this one has the short plastic spikes, it isn't messy to work with at all and the spikes prevented any clumps. Below are my lashes with 2-3 coats of the mascara. As you can see my lashes look great with 2 coats of this mascara and with 3, wow! 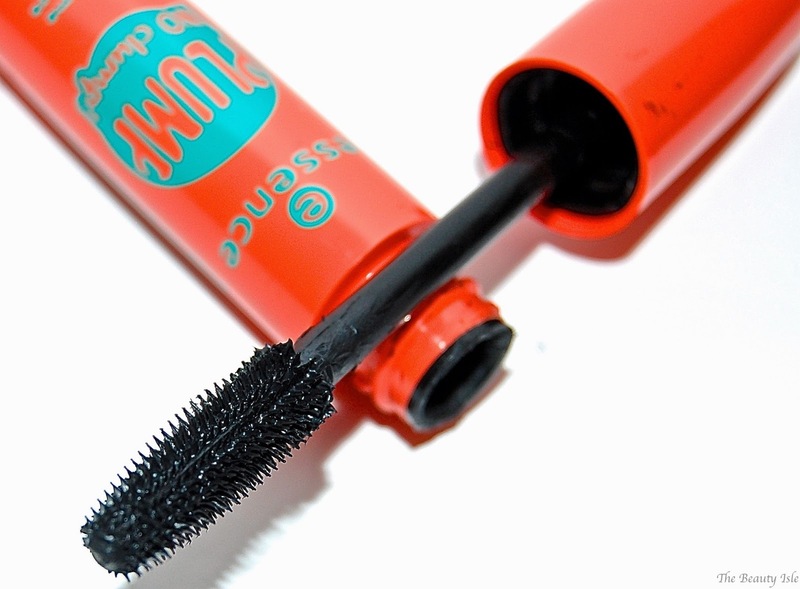 It looks better than most drugstore mascaras and even many high end mascaras. Best part, this mascara retails for $4.99! The Essence spring/summer collection is a big hit in my books! I love the lipstick, gloss, and the mascara. 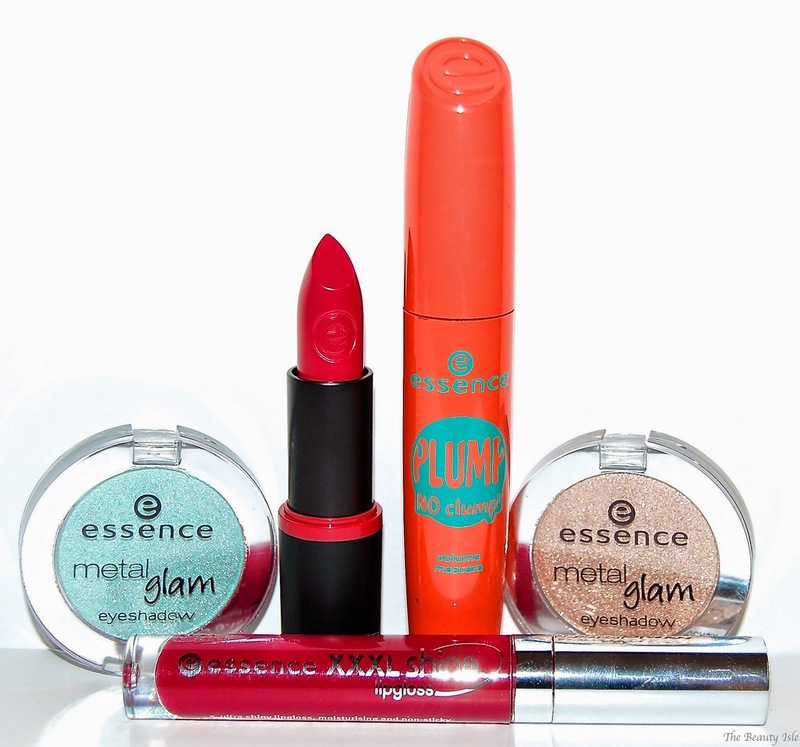 You can find Essence Cosmetics in Ulta stores or online. And don't forget, at Ulta, you can always use the $3.50 off $10 coupon to drive the cost of a few of these items even lower! *Disclaimer: I received these products for review. All statements are 100% honest and my own.